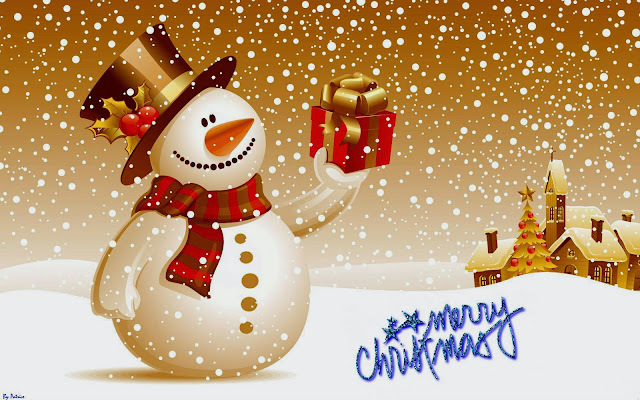 Christmas is celebrated across the world on 25th of December every year. This was the day when Jesus Christ was born to Joseph and Mary in Bethlehem. According to the Holy Bible, virgin Mary conceived and bore young Jesus through the Holy Spirit's miracle. Christians in different parts of the world attend a special church service on the eve of Christmas, after which, there are grand festivities that involve partying with family members and exchanging gifts. A beautifully decorated Christmas tree and star-shaped lantern can be seen outside many of the Christian homes. Another important feature of Christmas is the visit by Santa Claus before the big day. Santa Claus is the name given to Saint Nicholas, who was a Christian saint from the early church. He was well-known for giving away anonymous gifts to the poor. The 6th of December is observed as his feast day, and people still send presents to children in some countries on this day. A person dressed as Santa Claus is easily recognized by all, owing to his bright red costume and hat. The birth of Jesus Christ was an important event in the history of mankind, as God sent him to reverse the effects of Adam's sin. On the occasion of Christmas, United-21 Nature Paradise, Bhimtal, wishes everyone a Merry Christmas. There are some great accommodations awaiting people who choose to spend their Christmas holidays in this amazing resort located in the town of Bhimtal. The heart-warming hospitality and fascinating surroundings of this resort would make their holiday truly memorable.